Ed Richter has always been the consummate “People Person”, a skill that came to the forefront while serving as Michigan Governor Granholm’s Executive Photographer. In that capacity, Ed has photographed many influential and powerful political personalities on both sides of the isle (Republicans, Independents, and Democrats) including Presidents, V.P. 's, The A.G., many Congressmen, Senators and also executives, celebrities, athletes and artists. Lately with politics being so contentious he has concentrated on beauty and nature. Conceptual portraits were often called for but on many occasions beautiful studio work was needed as well as journalistic work. Ed’s gregarious, involved style is quite amazing and he has been complimented by scores of his clients. Lately his photography of celebrities, athletes, and executives continues to win awards. Ed also has lectured and judged photo classes and art shows. His latest creative photography showing was held in the Clearwater Art Gallery in 2018 by the amazing, Ms. Jennie Pearl Mgr., with special guests and entertainment. Located in Palm Harbor, FL between Clearwater and Tampa. 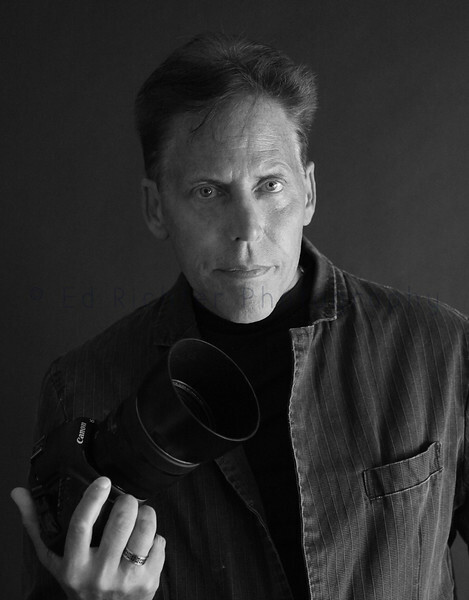 Creative photography is another of Ed's special talents and he has become quite popular on many sites and blogs with an artistic flare. Ed is an imaginative digital artist and adventurer enjoying studio and cutting edge fashion photography. On some sites he has 1000's of comments on his digital creations. Other positions included travel and event photographer for the prestigious Presentation Group, digital enhancements and retouching work. Career work at Canadian National Rail Road included Ed's first nature and industrial photography assignments which were very successful. Thank you all for the questions, comments and compliments sent to Ed regarding his photography. You can contact Ed by clicking the Contact link above in the menu. All questions and comments are always answered. Thanks for the many compliments received for recent events including Wildlife and Clearwater Chalk Arts 2018.